Quite by chance I discovered this DVD in Waterstone’s, and for £9.99, how could I resist? 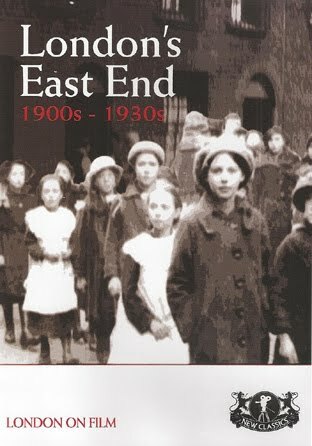 It contains fifty minutes of archive footage from 1900 to the late 1930s, much of which is out of period for Basilica Fields, but nevertheless it all exudes the unmistakable atmosphere of the East End which I’ll be attempting to recreate. It’s fascinating to watch the working conditions at the turn of the century, such as the match factory at Bromley-by-Bow, and it brought home just how hard the lives people led day-in-day-out. Equally fascinating is the footage of well known historic events like the Siege of Sidney Street in 1911.